Ford Gen2 coil pack for 4 cylinder engines. 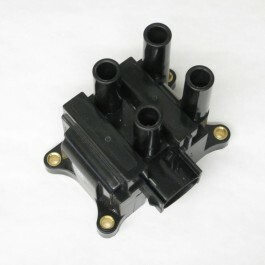 Ford Gen2 coil pack for 4 cylinder engines. Fully compatible with K6 ECU and can be used in conjunction with our Full Duratec or Generic looms as well as with Flying lead looms. Plug for Ford Gen2 coil pack - 4cyl is available from "Connectors" section of our Shop.